Raised alongside her numerous brothers and sisters by the formidable empress of Austria, ten-year-old Maria Antonia knew that her idyllic existence would one day be sacrificed to her mother's political ambitions. 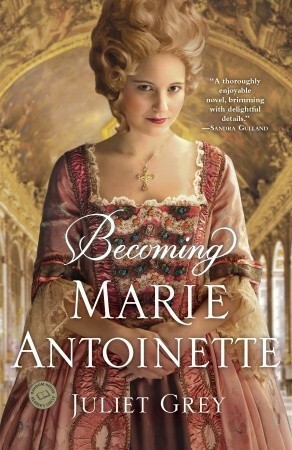 What she never anticipated was that the day in question would come so soon.Before she can journey from sunlit picnics with her sisters in Vienna to the glitter, glamour, and gossip of Versailles, Antonia must change everything about herself in order to be accepted as dauphine of France and the wife of the awkward teenage boy who will one day be Louis XVI. Yet nothing can prepare her for the ingenuity and influence it will take to become queen. Da romanen tar til, i 1766, er Marie Antoinette fortsatt ung og barnslig, en bekymringsløs ungpike som elsker å utføre pek og skjemt overfor sin guvernante, eller hygge seg sammen med de andre søsknene. Vi følger henne i årene frem til hun blir Louis' sin kone og de står klare for å overta tronen i Frankrike. År preget av vonde avskjeder, tvil, mange tanker men også håp med tanke på fremtiden.